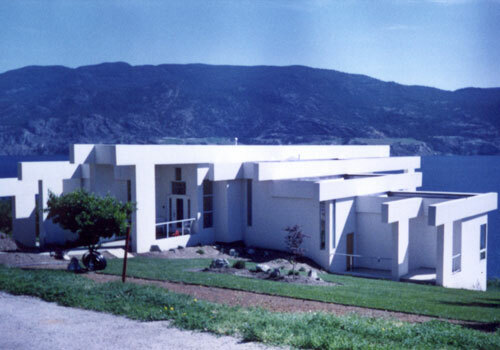 HOPPER SUMMERLAND RESIDENCE - Location, location, location is common to this industry. 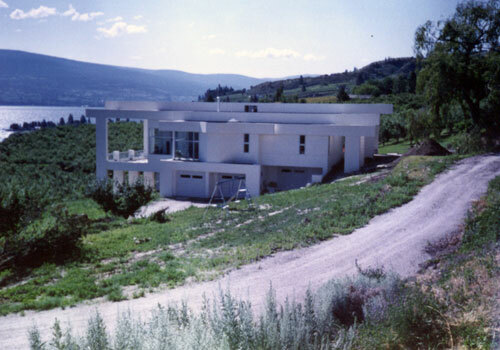 This modern piece of art is set in a winery vineyard over looking the Okanagan Lake. 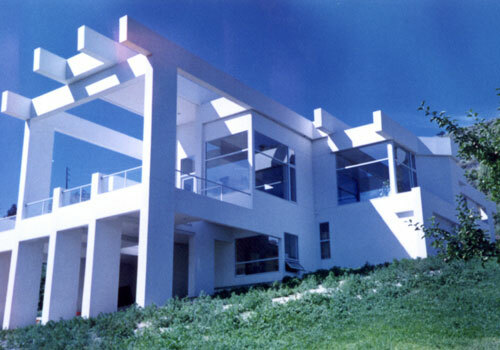 The owner wanted a timeless piece of architecture that would outlast the trends. This project allowed me to be a sculptor and play with form. 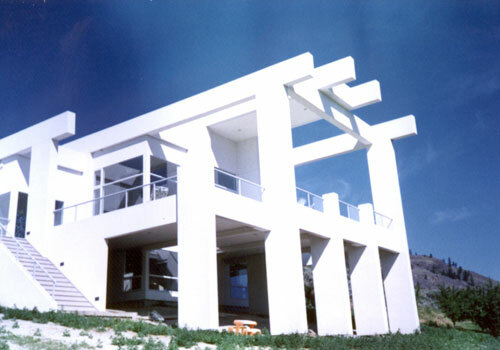 The beauty of the soaring stepped fascia bands was in the simple clean lines with no metal flashings to commercialize it. 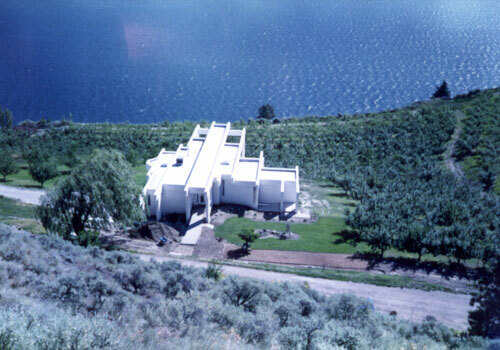 They loved the fact that I found a solution for the parapets that allowed the perfection of the design to maintain simple elegance. The maintenance free exterior finish was the finishing touch to this "original artwork".